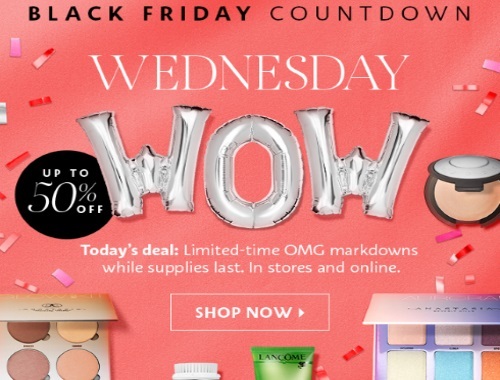 Sephora has a Black Friday Countdown on now with their Wednesday Wow promotion! Today only save up to 50% off on limited-time OMG markdowns! Offers are while quantities last, in-store and online.